Many of us have a vision for America where with hard work and a little luck everyone has the opportunity to succeed, live a middle class life, and maybe even become wealthy. That’s also President Obama’s vision. He has lived the American Dream, rising from humble beginnings, the son of a single parent, to become President of the United States. He is both a champion and a poster child for the American Dream! So it took my breath away to see our President called “the anti-American President” and a “Marxist” and a “third world socialist, anti-capitalist despot.” These words and the “call to arms” used in a recent Observer editorial are so offensive and contrary to what President Obama stands for that they seem designed only to generate fear and anger, rather than contribute to a debate. 2012 got off to an exciting start in Sarasota, with First Lady Michelle Obama dropping by for a visit on January 26. 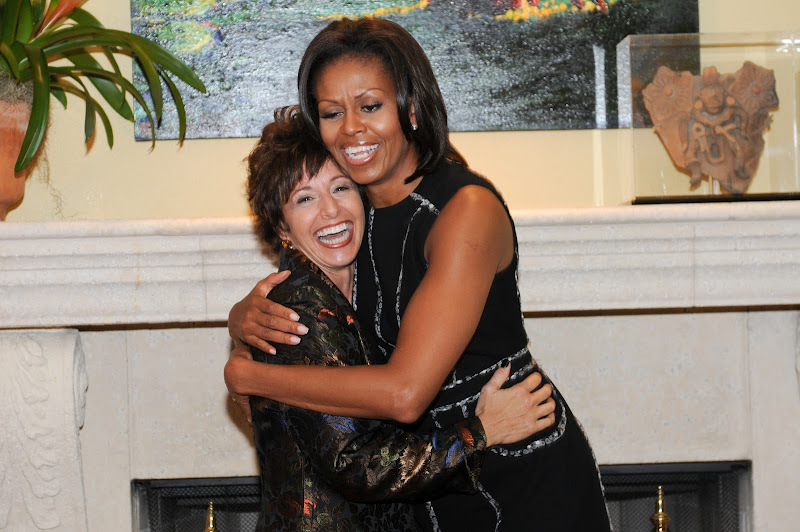 I served as a member of the host committee and had the privilege of meeting Mrs. Obama at the event, which took place at a private home in Sarasota. Her Sarasota visit highlights this area’s importance in November. Mrs. Obama focused on her efforts to promote children’s health and wellness programs, as well as discussing the President’s key accomplishments over his first three years in office, including healthcare reform, financial industry reform, small business tax incentives, fair wage legislation and educational programs such as Race to the Top. She also discussed the upcoming election, underscoring the President’s philosophy: “the President believes there are no second-class citizens in America. Every night he reads letters from citizens across the country and he feels strongly that everyone deserves the opportunity to make a better life.” Her visit was a great kick-off to 2012, invigorating locals and showing that Sarasota will be a key campaign destination between now and November.